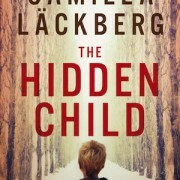 Camilla Läckberg‘s E-book edition of “The Hidden Child” (Tyskungen) is number ONE on Barnes & Nobles top-ten list today. Congratulations, Camilla! http://www.nordinagency.se/wp-content/uploads/2014/08/Tyskungen-US.jpg 450 300 Nordin http://www.nordinagency.se/wp-content/uploads/2014/02/new_logo.png Nordin2014-08-12 13:30:502014-08-12 13:31:45Camilla - Number One!